This is what happens when Surya MEETS Simmba! 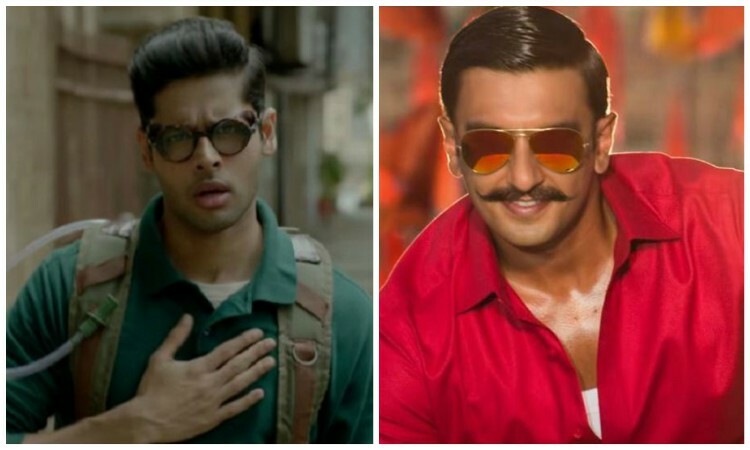 Abhimanyu Dassani took to his social media sharing a video which showcases our very own Ranveer Singh kicking off a punch to Surya from Mard Ko Dard Nahi Hota. Abhimanyu Dassani who portrays the character of a painless man named Surya actually felt the pain in his knees when he received a flying punch from Ranveer Singh. Sharing the video, Abhimanyu tweeted saying, "Simmba meets Surya! Dard nahi hota baki sab hota hai Still love you bro tu hu Mera Bhai hai @RanveerOfficial ". Mard Ko Dard Nahi Hota has been grabbing the eyeballs with its quirky content and unique storyline. The makers have been treating the audience with some eccentric posters which go in sync with the unconventional and exciting theme of the film. The recently released Rappan Rappi Rap song too have stirred anticipation owing to its uniqueness. Stepping into the shoes of a painless man, Abhimanyu Dassani marks his Bollywood debut along with Radhika Madan. The actress will also be seen packing a punch with heavy action sequences. Even before it's release, the movie has already received a standing ovation at Mami Film Festival and created a global mark by winning the Midnight Madness Award at TIFF, emerging as the Desi Deadpool. Produced by Ronnie Screwvala under the banner of RSVP, Mard Ko Dard Nahi Hota is written and directed by Vasan Bala. Starring Abhimanyu Dassani, Radhika Madan, Gulshan Devaiah, Mahesh Manjrekar and Jimit Trivedi, Mard Ko Dard Nahi Hota is all set to hit the theatres on 21st March 2019. Gully Boy star Siddhant Chaturvedi's MC Sher to get a SPIN-OFF TALE?